Legal marijuana sales in the United States could reach $3.9 billion in 2017, which is why we have our eyes on these 20 marijuana stocks to watch in 2017. The legal marijuana industry just scored big victories with legalization in Nevada, Maine, Massachusetts, and California on Nov 8. And in the spring of 2017, Canada will review its marijuana policy. It may be the next country to legalize recreational marijuana. However, investors still need to keep in mind investing in marijuana stocks is speculative. That's because marijuana is still illegal under federal law. This is also not a list of recommendations. Rather, it's stocks to keep an eye on as the barriers for marijuana companies are removed through legalization. And along with our 20 marijuana stocks to watch, we will also show you how to get a 90-page investment guide to help you navigate the marijuana industry. Marijuana Stocks to Watch in 2017 No. 20: Grow Solutions Holdings Inc.
Grow Solutions Holdings Inc. (OTCMKTS: GRSO) provides services and products for processing, growing, and dispensing marijuana in the United States. It provides indoor and outdoor garden supplies and equipment, as well as equipment for growing legal marijuana. Grow Solutions also provides consulting and construction services to approved and licensed legal cannabis companies. Grow Solutions is based in New York and was founded in 2014. The GRSO stock price is down 66% in the last 12 months. Marijuana Stocks to Watch in 2017 No. 19: Mountain High Acquisitions Corp.
Mountain High Acquisitions Corp. (OTCMKTS: MYHI) acquires commercial facilities to lease to commercial marijuana companies in Colorado. Mountain High completed its acquisition of GreenLife BotaniX Inc. in February 2015. GreenLife developed and marketed CBD hemp oil infused with nutraceutical products. In June 2016, the company also announced it was creating a strategic think-tank to assist in new business and bridge financing plans. The MYHI stock price is up 53% in the last 12 months. Marijuana Stocks to Watch in 2017 No. 18: Social Life Network Inc.
Social Life Network Inc. (OTCMKTS: WDLF) owns and operates a social network site called WeedLife Network. WeedLife functions like a search engine. However, it focuses strictly on the marijuana industry. Marijuana websites can use WeedLife to display deals and coupons and provide dispensary maps. WeedLife also has a free website builder and search engine optimization tools. WDLF has climbed from its opening price of $0.07 on Sept. 10 to $0.29 on Nov. 29. Marijuana Stocks to Watch in 2017 No. 17: Terra Tech Corp.
Terra Tech Corp. (OTCMKTS: TRTC) describes itself as a "vertically integrated cannabis-focused agriculture company." Terra Tech creates sustainable solutions for the medical marijuana industry by providing production, extraction, distribution, plant science research, and Closed Environment Agriculture (CEA). It refers to its dispensary model as a "Starbucks model." Terra Tech says patients can expect the same look, feel, experience, and sense of security at every location. The TRTC stock price has a 52-week trading range between $0.09 and $0.75. Marijuana Stocks to Watch in 2017 No. 16: NOW Corp.
NOW Corp. (OTCMKTS: NWPN) was founded in 1993 and is headquartered in Portland, Ore.
NOW Corp. owns five acres of farmland in Colorado. Its business model is to farm, produce, develop, and commercialize recreational and industrial hemp. The company's main product now is CBD oil extracted from cannabidiol plants. NOW Corp. is allowed to currently produce and distribute CBD oil to most U.S. states because it contains little to no psychoactive ingredients. When there are less restrictions on hemp sales, NOW plans to expand production for more industrial uses for hemp. The NWPN stock price is down 88% over the last 12 months. Marijuana Stocks to Watch in 2017 No. 15: Medical Marijuana Inc.
Medical Marijuana Inc. (OTCMKTS: MJNA) is an investment holding company for industrial hemp and medical marijuana markets. Medical Marijuana Inc. prides itself on being a company of "firsts." MJNA was the first publicly traded cannabis company in the United States in 2009, and the first to deliver cannabis brands across U.S. state lines and international borders in 2012. 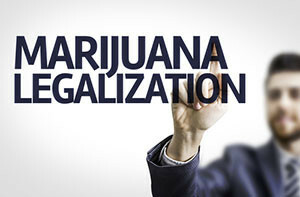 It was also the first company to introduce legal medical cannabis products to Brazil in 2015, as well as the first company to bring medical cannabis products to Mexico in 2016. Medical Marijuana Inc. sells pure CBD hemp oil, gum, and capsules. The MJNA stock price has soared over 200% so far in 2016. Marijuana Stocks to Watch in 2017 No. 14: Lexaria Bioscience Corp.
Lexaria Bioscience Corp. (OTCMKTS: LXRP) is based in Vancouver, Canada. It was founded in 2004 and changed its name from Lexaria Corp. in April 2016. Lexaria has two consumer product brands called ViPova and Lexaria Energy. Under the ViPova brand, Lexaria launched a black tea infused with hemp oil in January 2015. Lexaria plans to eventually expand the ViPova line with more teas, coffees, and related goods. Lexaria Energy products provide edibles infused with hemp oil for all 50 states. Lexaria also plans to eventually launch a hemp oil-infused protein bar. The LXRP stock price has climbed over 14% in the last 12 months. Marijuana Stocks to Watch in 2017 No. 13: Itonis Inc.
Itonis Inc. (OTCMKTS: ITNS) was founded in 2005 and is headquartered in Laguna Hills, Calif.
Itonis is developing homeopathic anti-nausea products to sell over the counter to alleviate mild to moderate nausea. Itonis entered the marijuana industry in 2014 when it signed a licensing agreement with mobile payment app MyECheck. This agreement allows Itonis to offer the first and only payment service targeting the medical marijuana industry in Southern California, according to its website. Over the last 12 months, the ITNS stock price has climbed 46%. Marijuana Stocks to Watch in 2017 No. 12: Zoned Properties Inc.
Zoned Properties Inc. (OTCMKTS: ZDPY) identifies, develops, and leases sophisticated and sustainable properties for emerging industries such as legalized marijuana. The unique needs of marijuana companies allow Zoned Properties to make more rental income, according to its website. Zoned Properties has a premium rent per square foot of $32 to $40, average lease terms of 15 years, and eight buildings in its portfolio. The ZDPY stock price is down 74% so far in 2016. Medical Cannabis Payment Solutions (OTCMKTS: REFG) is a software company that provides technology solutions for the medical marijuana industry. According to its website, Medical Cannabis has the most technologically advanced seed-to-sale (S2S) system on the market. Its system provides compliance and management technology for growers and dispensaries. Medical Cannabis also has three affluent board members, including former presidential candidate Gary Johnson, former vice presidential candidate James P. Gray, and business executive G. Richard Kasteler (CEO of Insure-Rite Inc.). Over the last 12 months, REFG has climbed 262%. I need one good marijuanan stock to invest in.